"He understood English just fine the night I arrested him" | Jon Katz, P.C. How on earth can a monolingual cop, judge, or prosecutor — or even a partially bilingual person — have a sufficient understanding whether English is sufficiently understood by a person who speaks English as a second language? Such judgments are made all the time, often fatal to criminal defendants speaking English as a second language, for such purposes as judicial decisions whether to suppress their English-language statements, their English-language waiver of the right to refuse a search, their English-language waiver of their right to refuse a blood or breath test in an impaired driving case, and their non-verbal responses to police requests made in English (e.g., to perform field sobriety tests). Too often, I see prosecutors, police and judges being insensitive at worst and uninformed at best about litigants’ abilities to speak and understand English as a second language. 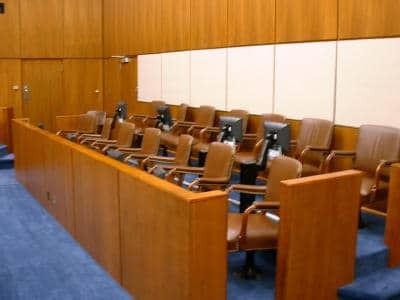 In one instance, a Virginia District Court judge refused a self-represented Spanish-speaking defendant’s court-appointed interpreter request on his initial appearance date, saying "I deny your request for an interpreter. Your English is just fine." The judge had barely spoken to the defendant other than the basics about scheduling, obtaining counsel, and any need for an interpreter, so had insufficient information to reject the interpreter request. There is a huge difference between saying "I want an interpreter" in understandable English, versus understanding a prosecutor’s merciless and heartless cross-examination of the defendant on the witness stand. We can all educate prosecutors, police, judges and everyone else of the need to err on the side of approving court-appointed interpreter requests in criminal court. Defendants have little to gain to seek an interpreter if they do not need one, in that the interpreter is at once a facilitator and barrier to communications. Nothing beats fully understanding the language spoken without the need for an interpreter. Beyond relying on court-appointed interpreters, criminal defendants with available funds may sometimes wish to consider hiring retained language experts for efforts to suppress statements made in a defendant’s second language, and also to explain verbal and non-verbal cultural and linguistic differences among people from around the globe and even in different regions and cultures in the United States. For instance, I once read about one country where it is common to reveal bad news with a smile, to try to overcome the sadness of the situation. Without such information about a person’s cultural background, jurors might conclude that the smiling indicated culpability for a crime, whether for the death of a dog or for numerous other sad occurrences. Torres continues: "Nor does the record give us any reason to question the trial court’s finding that Officer LeBlanc [who admitted to a twenty-word Spanish vocabulary] was ‘very credible’ in his assessment of appellant’s demonstrated English language skills. Determining whether someone qualifies as a non-English speaker entitled to an interpreter’s services may, in some cases, pose a difficult question that turns upon ‘a variety of factors,’ including that person’s ‘understanding of the English language, and the complexity of the proceedings, issues, and testimony.’ Gonzalez, 697 A.2d  at 825 [(D.C. 1997)]. But such a challenging question is not presented here. Moreover, in cases involving similar determinations under the Act, we have held that the trial court should be afforded ‘wide discretion’ in making its rulings. Id. Because the record contains substantial evidence that appellant was not impaired as a ‘non-English speaking person,’ we conclude that there was no abuse of the court’s discretion." In other words, the District of Columbia Superior Court judge, followed by a three-judge appellate panel, allowed defendant Torres’s liberty heavily to rise and fall on the assessment of Mr. Torres’s English-speaking ability by a police officer — who by definition was biased — who admitted to no more than a rudimentary familiarity with Spanish. This problematic situation must be reversed; the change can only come about through our speaking out and educating others effectively about it, and through our exercising our democratic will. Jon Katz.